Have you ever wondered about the health benefits of apple cider vinegar? Or if apple cider vinegar is good for dogs or safe for cats? Today is National Vinegar Day (oops, missed it). I know, right? But, I thought it would be a good day to cover some of the health benefits of vinegar, particularly organic apple cider vinegar. 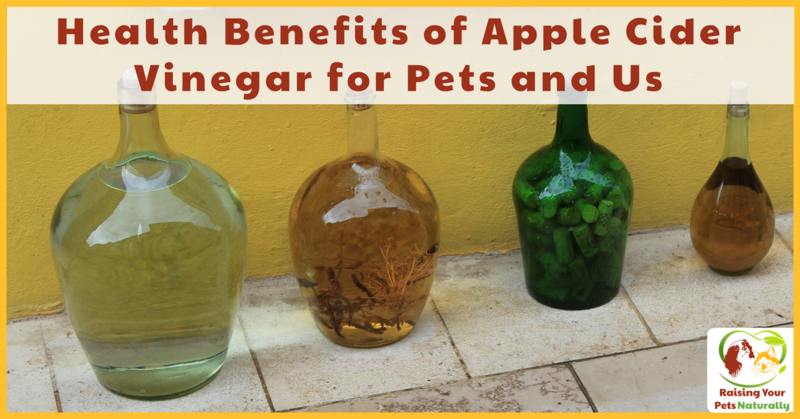 Apple cider vinegar (“ACV”) is one of those healthy ingredients that we may not actually realize has a huge array of health benefits for ourselves and our pets. I always opt for organic ingredients when possible, and for apple cider vinegar this is especially true if you want to keep the best health benefits. Non-organic apple cider vinegar goes through a high-heat pasteurization process that removes the “mother veil,” or what looks like the cloudiness of the vinegar. This mother veil is actually very nutritious and has the best naturally occurring pectin and enzymes. So, cloudy is good! I often think of ACV in the same terms of coconut oil – there are just so many benefits that one blog post won’t even come close to doing this kitchen ingredient justice. So, here are just a few of the health benefits of ACV for our dogs, cats and us. Topical uses of apple cider vinegar. 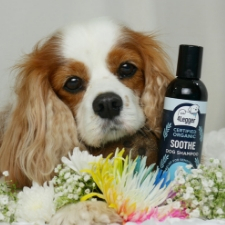 Natural Itch Spray for Pets: Apple cider vinegar can help cool and relieve itchy skin and rashes, particularly if they are caused by yeast. It’s pretty simple, just fill a spray bottle with a 50/50 mix of ACV and distilled water. Spray where needed. If your dog or cat has an open wound, do not use this mixture. Please seek the help of your holistic veterinarian. Natural First Aid Treatment for Pets: Because of apple cider vinegar’s cooling properties, when applied topically it can sooth insect bites, stings, and sunburn. Simply massage ACV onto the burn with a cotton ball. Natural Flea Control for Pets: Another safe and non-toxic flea prevention is right inside your kitchen cabinet and only costs pennies! ACV to the rescue for flying insects, fleas, mosquitoes, and ticks. Remember that 50/50 natural dog itch spray? 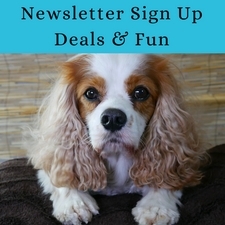 There you go – a natural and non-toxic flea spray. Simply spray your pet before going out on that hike. Tip: If you have a light-colored pet, the ACV can stain their coat. You can use white vinegar as a substitute. Internal uses of apple cider vinegar. Aids in Digestion: Having good digestion is key to a healthy and happy body. 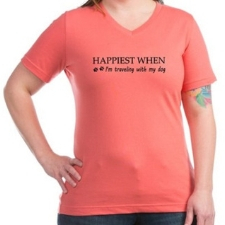 You may be thinking to yourself of a time when you felt bloated or had a belly ache, or maybe your dog was outside eating grass to soothe his upset belly. Bad digestion not only makes us feel bad, it also means that we are not breaking down our food properly and thus not receiving the vitamins and nutrients our body needs and our immune system isn’t up to par. In other words, we may not have the proper stomach acid to break down this food. Luckily for us and our pets, ACD helps with digestion by increasing stomach acid to break down that food. This acidity helps the digestive tract and can also break up bladder crystals and kill harmful bacteria. For cats or small dogs, try ¼ teaspoon with your pet’s meal or 1-2 teaspoons per cup of water. 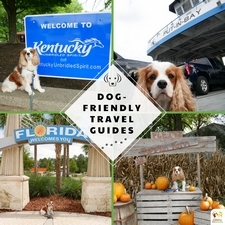 For larger dogs or us humans, start with 1 teaspoon per 50 pounds, and gradually increase to 1 tablespoon per 50 pounds. Yeast Control: Oh, that dreaded yeast. Whether it’s our own bodies or our pet’s feet, face, or eyes, yeast seems to be a big issue. There are a variety of reasons a person or pet may have a yeast overgrowth, including bad diet, antibiotic use, or a weak immune system. 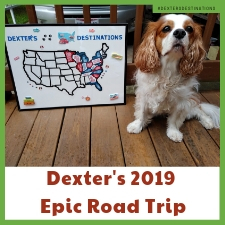 Dexter is plagued with the latter two: regular antibiotic use for his neurological condition, and weakened immune from the antibiotic use and his medical condition. We fight yeast regularly. Taking ACV internally helps fight yeast by killing the bad bacteria in our bodies and allowing the good bacteria to thrive. The good enzymes and healthy bacteria help balance a body’s natural pH and improve the gut. The next time you open your cupboard and see a bottle of organic apple cider vinegar, pull it out and try one of the natural remedies to help with your health and the health of your pets. 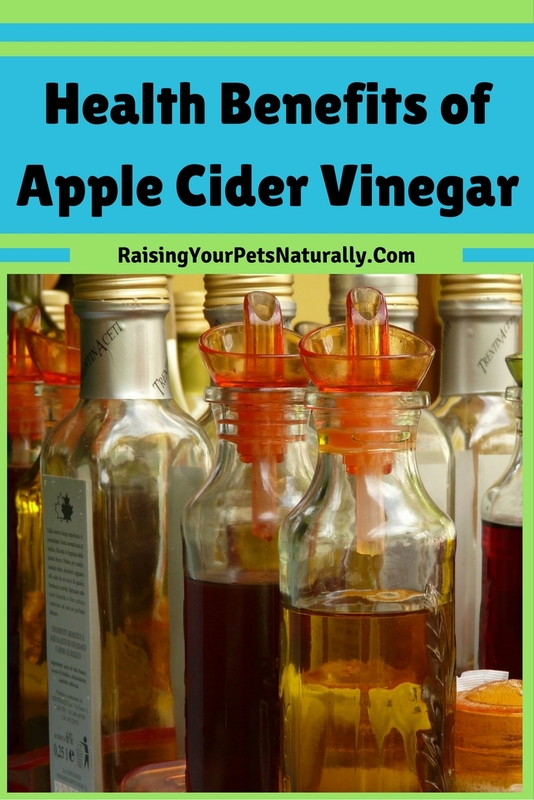 Have you used Apple Cider Vinegar for your health or your pet’s health?